Model: DODGE STRATUS. DODGE STRATUS 03-04 AT, Sdn, 2.7L. Transmission Assy. Part Grade Abbreviations. cc = Credit Card size units. C = Greater than 200k miles. B = Greater than 60k miles and less than or equal to 200k miles but greater than 15k miles per year. Model: DODGE STRATUS. This item is from a 2004 DODGE STRATUS. A.t., Sdn, 6-2.7l,gra,4/1/04,2.7l,auto Trans,fwd. Axle seals, front seals, and drive shaft seals will also need to be replaced. Transfer cases will not be included with transmissions from 4x4 or All Wheel Drive vehicles. STRATUS 03-04 AT; Sdn, 2.7L. Vehicle Model: STRATUS. Warranty covers the transmission case, torque converter (included for automatic transmissions only) and all internal components. The warranty does not cover any external wiring, sensors or other external parts that can be transferred from your current transmission. LKQ SKU: LKQ712 ~145214200 TRA04459. This is NOT a manufacturer part number, and can be disregarded. We do our best to prevent these issues from happening and apologize for any inconvenience it may cause. LKQ SKU: LKQ762 ~120550424 TRA04460. This is NOT a manufacturer part number, and can be disregarded. We do our best to prevent these issues from happening and apologize for any inconvenience it may cause. LKQ SKU: LKQ701 ~201968650 TRA04459. This is NOT a manufacturer part number, and can be disregarded. We do our best to prevent these issues from happening and apologize for any inconvenience it may cause. LKQ SKU: LKQ106 ~205779800 TRA61305. This is NOT a manufacturer part number, and can be disregarded. We do our best to prevent these issues from happening and apologize for any inconvenience it may cause. LKQ SKU: LKQ540 ~196344669 TRA04460. This is NOT a manufacturer part number, and can be disregarded. We do our best to prevent these issues from happening and apologize for any inconvenience it may cause. LKQ SKU: LKQ842 ~149491571 TRA04460. This is NOT a manufacturer part number, and can be disregarded. We do our best to prevent these issues from happening and apologize for any inconvenience it may cause. Model: DODGE STRATUS. 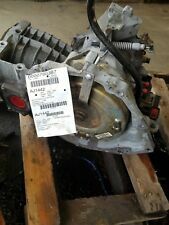 DODGE STRATUS 03-04 A.T., Sdn, 6-2.7L. TRANSMISSION ASSY. Part Grade Abbreviations. cc = Credit Card size units. C = Greater than 200k miles. B = Greater than 60k miles and less than or equal to 200k miles but greater than 15k miles per year. LKQ SKU: LKQ112 ~179457017 TRA04460. This is NOT a manufacturer part number, and can be disregarded. We do our best to prevent these issues from happening and apologize for any inconvenience it may cause. LKQ SKU: LKQ312 ~190086690 TRA04460. This is NOT a manufacturer part number, and can be disregarded. We do our best to prevent these issues from happening and apologize for any inconvenience it may cause. Model: STRATUS. STRATUS 2003 -2004 AT; Sdn, 2.7L. Helpful Links. This warranty is non-transferable. This coverage is included on all new or used parts unless otherwise stated on the front of the invoice. LKQ SKU: LKQ312 ~195221069 TRA04460. This is NOT a manufacturer part number, and can be disregarded. We do our best to prevent these issues from happening and apologize for any inconvenience it may cause. Condition: 125k. Model: DODGE STRATUS. Transmission Assy. Year: 2004. Part Grade Abbreviations. cc = Credit Card size units. C = Greater than 200k miles. B = Greater than 60k miles and less than or equal to 200k miles but greater than 15k miles per year.